This item is built-to-order. A minimum order of 1 is required if there is no stock currently on hand. Lead times are typically 6-8 weeks. 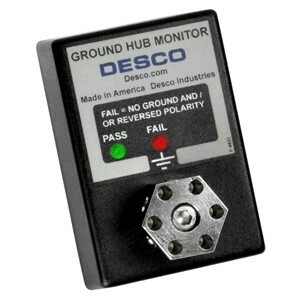 LEDs provide a visual indication that outlet is properly wired for grounding purposes of an in an ESD Control Plan. Alarms activate instantly when a failure occurs, alerting user and supervisor of a problem.